Nawazuddin Siddiqui plays the role of a contract killer named Babu in Babumoshai Bandookbaaz and the new song Ghungta offers a glimpse of his 'killer' moves as an assassin. 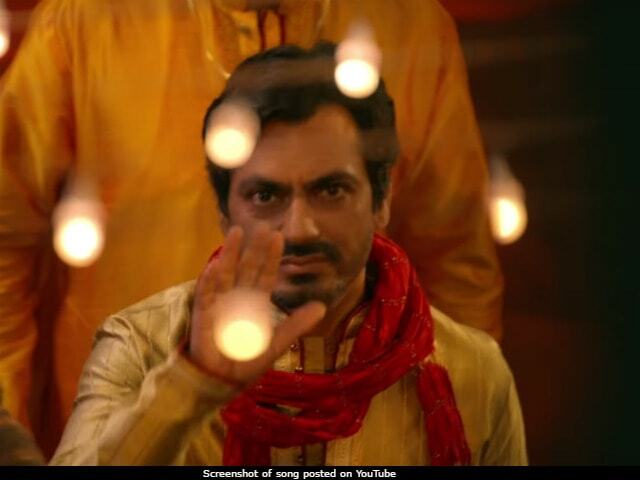 Sung by Neha Kakkar, Ghungta is set at a wedding function, where Nawazuddin's character appears to be a guest but he's not there to just enjoy the festivities - he's a gunman after all! The trailer of Babumoshai Bandookbaaz ran us through the storyline of the film which looked like this: The Babumoshai is much envied by his partner in crime Banke, played by actor Jatin Goswami, who strives to beat his mentor's reputation. Ghungta is a detailed look at the rivalry between Babumoshai and Banke and shows how Babu one-ups Banke without much effort. Previously, Banke and Babumoshai also featured in the song Aye Saiyan, which shows a more jovial rapport between the two. Bidita Bag, who features as Babu's love interest in the movie, also participates in the adda and gupshup session between Babu and Banke in Aye Saiyan. The new song Ghungta, also actually partially includes a reprised version of Hai Re Hai Tera Ghunghta from 1979 movie Dhongee. Compose d by R D Burman, the original song was sung by Kishore Kumar and Asha Bhosle. The cast of Babumoshai Bandookbaaz also includes actors like Murli Sharma and Divya Dutta, who feature in key roles. Directed by Kushan Nandy, Babumoshai Bandookbaaz is currently fighting the 48 cuts suggested by the Censor Board and is expected to arrive in theatres on August 25.